Find the best deals for Norman® shutters at Builder Blinds of NW Florida, your Pensacola shutter company. 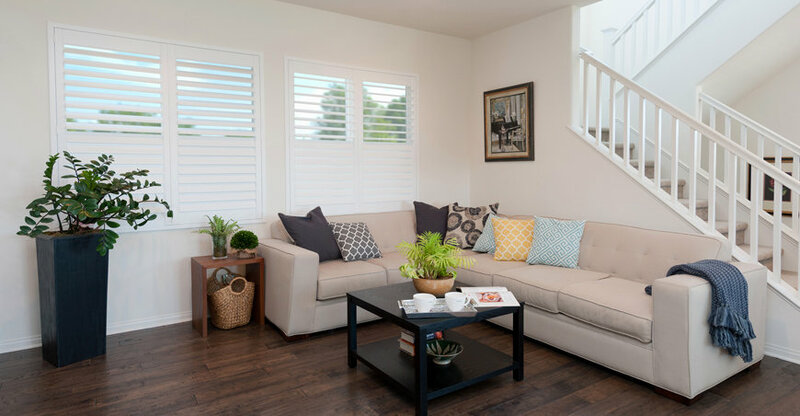 We are a direct dealer of quality shutters from Norman® Window Fashions. As a homeowner or business owner who is concerned with value, beauty, and quality, Norman® shutters offer everything you are looking for. Norman® shutters are made with quality construction. Each shutter is handcrafted with the finest materials just for you. The mortise and tenon joints are designed to be durable and strong. The wood is manufactured with quarter-sawn wood for strength and an exceptional drying technique which mimics conditions in the environment where installed. Shrinking and swelling after installation in minimized with this trademarked drying technique. There is a reinforced engineered stile for strength and durability. The stile is the support system for the shutter. Layers of wood are bonded together in a special process to add strength at the core of the stile. Norman® shutters are coated with a patented polypropylene finish. The finish is superior to traditional paint and makes the surface resistant to cracking and shipping. It also makes them easier to clean and maintain. Builder Blinds of NW Florida offers several Norman® shutter styles for your Pensacola area home. Give us a call and tell us your favorites. We’ll bring samples to you and help you find just what you’re looking for. If you are looking for beautiful shutters for your Pensacola home or office, Normandy® Shutters are a top choice. Norman® Window Fashions makes quality shutters for our Pensacola climate. Builder Blinds of NW Florida offers these quality made shutters at great prices in Pensacola. 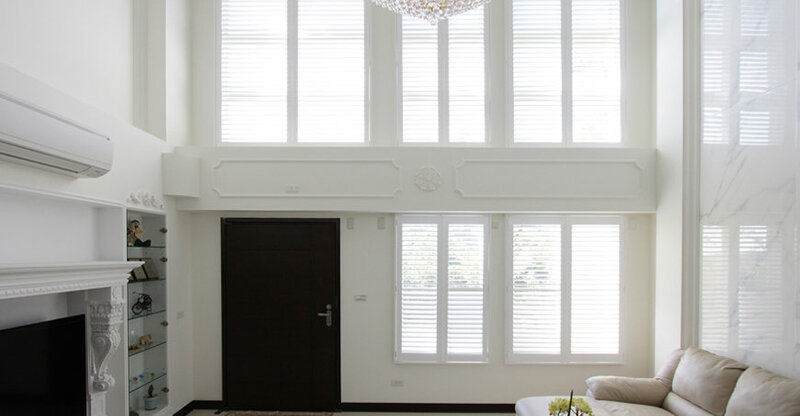 This is one of the finest engineered wood shutters you can find. Norman Woodlore® Shutters offer exceptional appearance with low impact to the environment. The wood fiber comes from quick growing tree species and is bonded together in a non-toxic polymer under high heat and pressure. If you’ve been looking at shutters for your Pensacola home or office, consider Woodbury® Shutters. They could be just what you are looking for. They are a very well-constructed waterproof shutter from a world renowned manufacturer, Norman Window Fashions. 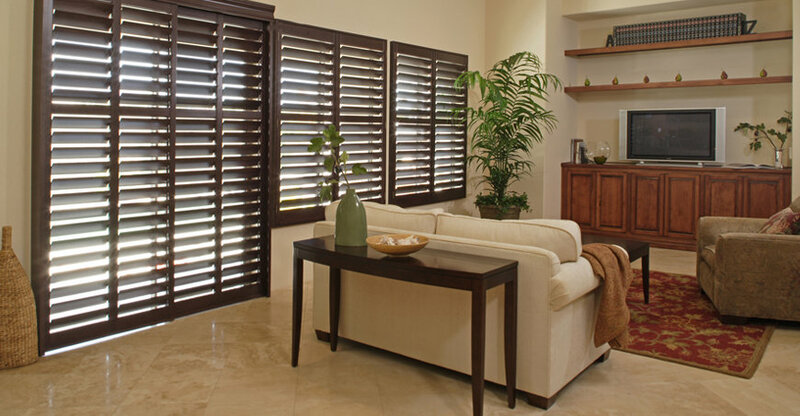 If you are looking for real hardwood shutters, the Sussex® Shutters should be at the top of your consideration list. They are constructed old world style to enhance the beauty of the wood grain. The shutter stiles are reinforced for added strength and durability.